Most Evangelicals earnestly strive to worship the God of Love. Yet a belief that the Bible is literally perfect can put them in the odd position of defending falsehood, bigotry or even violence. What do literalists teach? How are these teachings distorted? How do they contradict humanity’s shared moral core, including the highest values of Christianity itself? 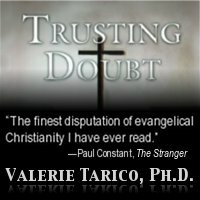 In Trusting Doubt, psychologist Valerie Tarico examines the moral and rational contradictions that caused her fundamentalist worldview to crumble. In their place, she offers perspectives that are compatible with love and logic. From the Publisher – with free shipping (US only) $17.95. 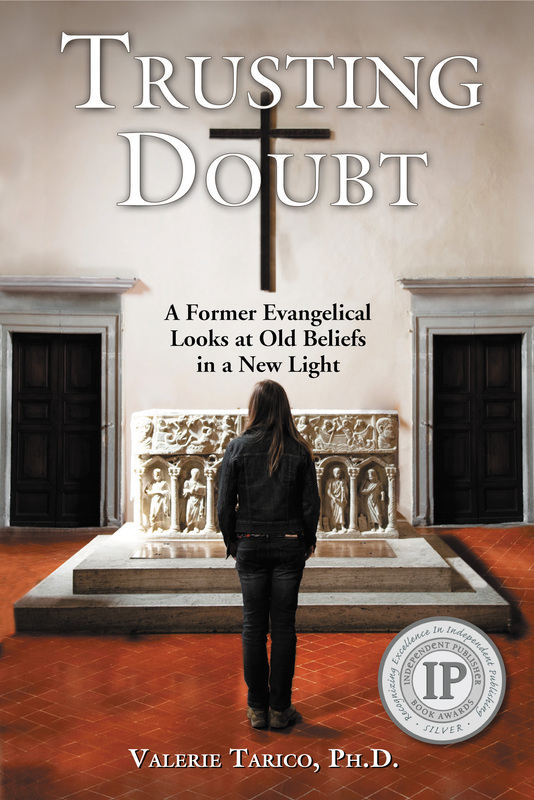 Also available as an ebook $9.99 or at online booksellers. I’m on a bit of a journey (“Between an Island of Certainties and the Unknown Shore”… love that!) myself, so I look forward to reading this book. Thank you! I really appreciate what you are doing here. My journey away from faith was very difficult. I spent years trying to figure out how to continue relating to my family and even myself. Thank you for what you’re doing. This was a great book! It underscores that you don’t have to choose between accepting everything you’re told by your religious leaders, and rejecting it altogether: there’s plenty of middle ground for someone to find what they think is right.